We are looking for an experienced hospitalist to work on our Accountable Care Unit (ACU) to join our team of 6 FTE’s on our acute medicine unit. The successful candidate will have a FRCP, CCFP or equivalent and be licensed or eligible with the CPSO. Either part- or full-time position. CMH is an affiliated teaching site of the McMaster University School of Medicine and a RNAO Best Practice Spotlight Organization. Participation in teaching and mentoring medical learners and residents is both an expectation and an opportunity. 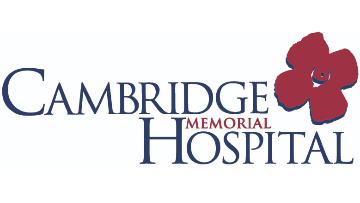 CMH is a 154 bed community hospital providing a range of acute care services located in thescenic City of Cambridge in southwestern Ontario with easy access to Toronto, Hamilton and London. The City of Cambridge provides a high standard of living with many attractive residential areas, excellent schools, convenient access to five major universities and many recreational and cultural activities.